You can find the link to Fr. Kevin's lecture here, on Saint-Paul University's website (or try this direct link here). You'll need Adobe Connect and/or flash on your computer to be able to view it, but the added tech work to your computer is worth it: Adobe Connect allows you to view both the slides and the lecturer at the same time. Fr. Kevin tackles these questions using both theological discussion and the latest in academic yoga research. The lecture is about an hour long. Make a cup of tea and enjoy! 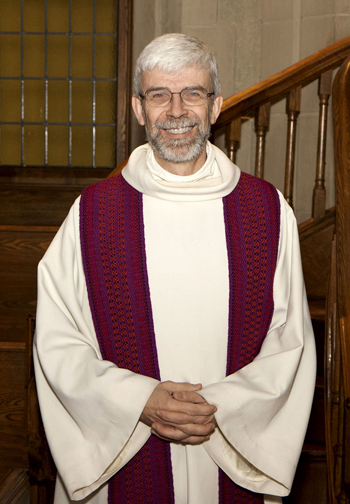 Biography: The Reverend Kevin Flynn is a priest of the Anglican Church of Canada and the Director of the Anglican Studies Program in the Faculty of Theology at Saint Paul University, Ottawa. He served various parishes in Toronto before taking up the work in Ottawa. He has practised yoga for over 30 years and is a certified Hatha yoga teacher. His Doctor of Ministry research has focused on the experiences of Christians who practise yoga. Professor Flynn teaches in the areas of pastoral practice, liturgy, ecumenism, and spirituality.